With no fanfare or cheering followers, the Dalai Lama stepped off a plane at Vancouver International Airport Saturday to begin a four-day visit to B.C. While his arrival was low key, his public events will likely be another story. The exiled Tibetan spiritual leader's previous visits to Vancouver have had more of a rock-star feel, drawing sell-out crowds. "Although he has such a huge following, so much of that comes from him being such a personable individual," Brenda Eaton, chair of the Dalai Lama Centre for Peace and Education, told CTV News this week. The Dalai Lama is among a long list of academics, world-renowned thinkers, Nobel prize-winning activists and others gathering for the Vancouver Peace Summit starting Sunday. More than ever, people are craving spiritual guidance, said summit organizer Victor Chan. "All of us really need to have a moment in time when we slow right down and start reflecting on some of the finer things in life, the more fundamental things in life, and this is something the Dalai Lama is very good at getting people to think about," he said. The summit will focus on themes of peace, education, and women & peace-building. Other Nobel laureates scheduled to attend the summit include Jody Williams, founding coordinator of the International Campaign to Ban Landmines; Mairead Maguire, president and co-founder of the Peace People, Northern Ireland; and American physicist Murray Gell-Mann. High-profile leaders from the arts, business, politics and philanthropy are also participating. Events are being held at UBC's Chan Centre for the Performing Arts and the Orpheum Theatre in downtown Vancouver. Peace rallies are nothing new to Vancouver, but in many ways Vancouver's peace movement has changed, according to a longtime activist. NDP MP Libby Davies says a large grassroots movement took shape in Vancouver in the 1980s out of Cold War fears of nuclear bombs falling on the city. "In the '80s, it was very much a grassroots movement," she told CTV News this week. "It seems like in some ways those days are gone. It's much more high-level dialogues that take place." What citizen activism still exists today is less about peace and more about climate change, she said. Disarmament is still an urgent issue, but "it is seen as something that is more distant," she said. Security will be tight during the summit. This week, a Chinese-language newspaper reported that someone posted an Internet message promising to pay money to anyone to assassinate the Dalai Lama. It is unknown who posted the message, which has since been taken down. 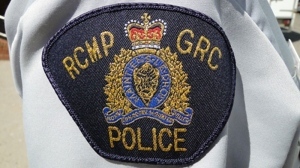 RCMP officials won't discuss the security measures they have in place, but say they are aware of the threat. Live coverage of the summit can be seen on ctvbc.ca beginning Sunday at 9:00 a.m.